A new cultural landmark celebrating the written and spoken word opens its doors today in the historic heart of Dubai. 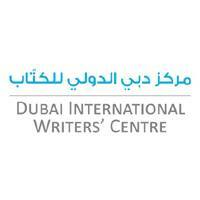 The Dubai International Writers’ Centre (DIWC), the first of its type in the Middle East, will be an international hub and a focal point for creativity, whilst also fostering an appreciation of the ways in which different cultures express themselves in the written and spoken form. The DIWC was officially launched at a grand opening ceremony held in the Centre’s home in the picturesque Al Shindagha Historical Neighbourhood. Attendees, including superstars of the international writing world, top Arab authors and local dignitaries, were given a glimpse into the history of the region and treated to Nabati poetry recitals and cultural performances to commemorate the opening. The DIWC provides a space for visiting writers and writers-in-residence, who will lead courses in creative writing in all its disciplines – fiction and non-fiction; poetry; lyrics; play-writing; film scriptwriting and calligraphy. Calling All Writers & Directors!